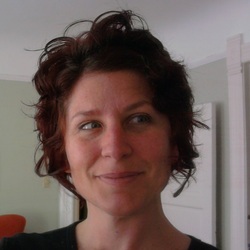 Liana Holmberg writes fiction, poetry, and prose. Her award-winning work has been published in a wide range of journals and anthologized. She is the founder and publisher at Red Bridge Press, an independent publisher of literary books in print and electronic media. Liana holds a Master's in Creative Writing and is a graduate of the Stanford Publishing Course. Her professional experience spans both the publishing industry and tech start-ups. She grew up in a rural town in Hawaii and now lives in San Francisco. Welcome. Please explore the site. The first book from Red Bridge Press. Edited by yours truly. This anthology has 29 authors from 6 countries and 14 U.S. states. It's chock full of prose and poetry that bends genres, breaks rules, and delights with the unexpected. If you like your lit with a hit of the surreal, fantastic, slipstream, or experimental, then this is the book for you!